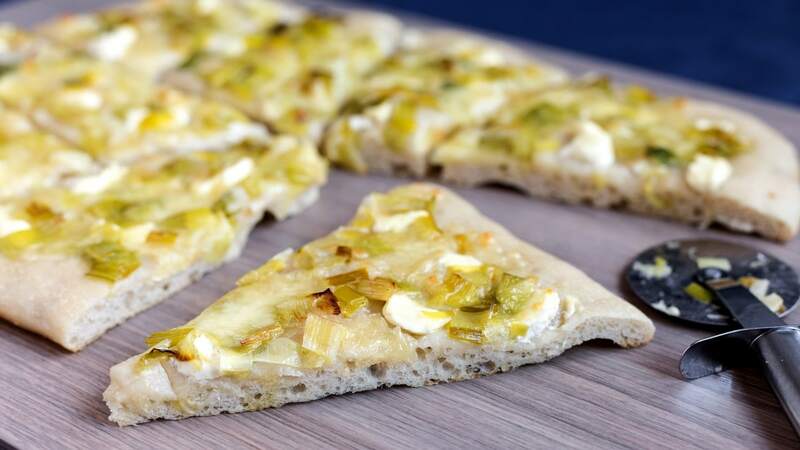 Leek mascarpone pizza is the answer to the question “What is your favourite pizza?” lately. Of course my heart will always beat for Quattro Formaggi, especially when I’m in Piemonte. 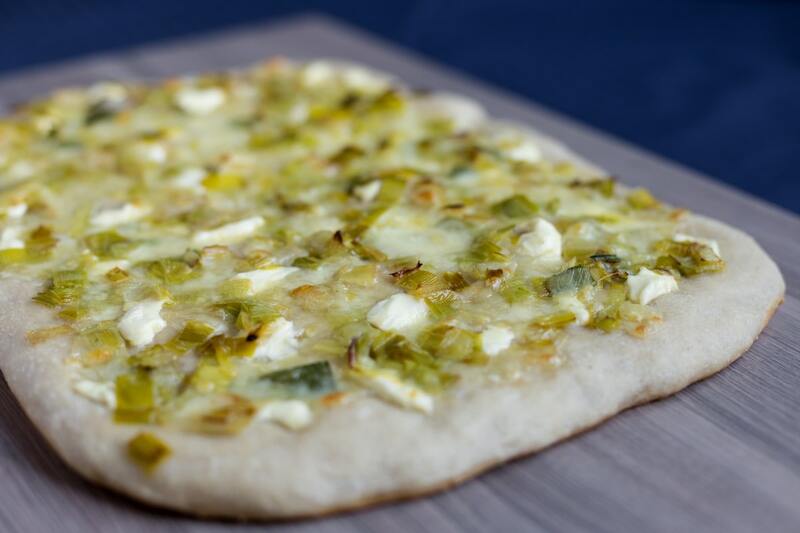 But when I get to make my own pizza at home (and it happens oh so often) leek mascarpone is one of my top choices. I actually like it so much I’ve been making it regularly for months. My life is boring, but it tastes amazing. 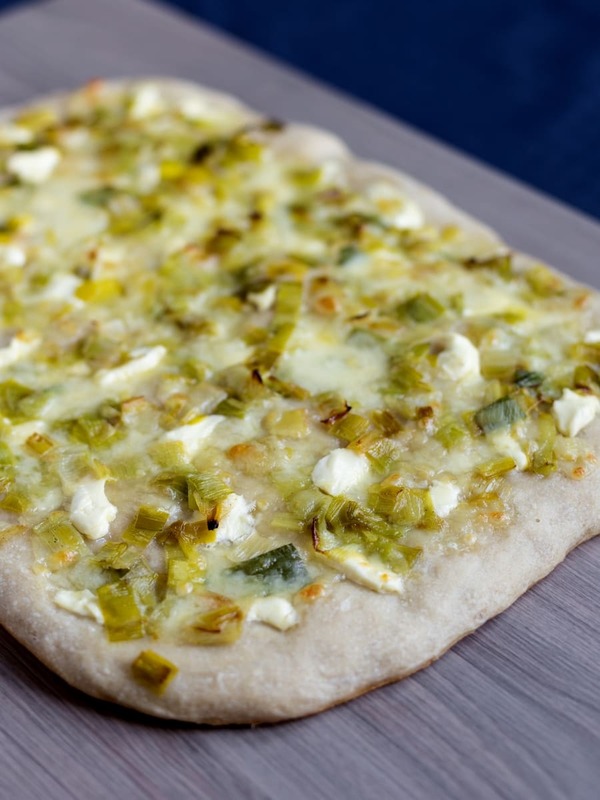 The inspiration to make pizza with leeks came many many years ago when a friend made it. I had never encountered this option in any pizzeria I had been to. It is not one of the most popular pizza options, in fact. 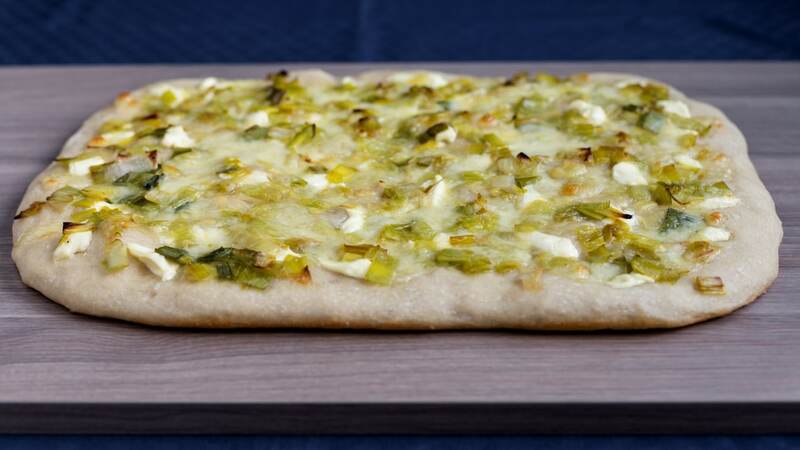 Yet leek pizza in Sweden makes perfect sense. Leek is a very common vegetable, very accessible also. I like to include local stuff on my pizza! Leek as a vegetable has been around these northern lands for quite some time, as there is evidence of it from testimonies earlier than the Vikings. Wanna hear a nerdy story about leek? Okay, so let’s go back to the days when I was a language student. My favourite subject was Germanic philology, hands down. I studied it religiously and got pretty nerdy about it. So nerdy I would decipher runic inscriptions in my free time (but only those in the Elder Futhark). I know, I was am weird. So to make things short it is believed that the letter ᛚ of the runic alphabet takes its name from the word *laukaz which means “leek”. Okay, there is also another theory that suggests that this rune was in fact named *laguz that means “lake”. Neither has ever been denied so I always liked to think that in the Elder Futhark L is for Leek. Okay, back to the recipe (please don’t judge me). This is a pizza bianca, one that features no tomato sauce. Actually, since I generally let the dough rise in the pan covered with a generous amount of olive oil, this is a focaccia. Since it has a topping I prefer to call it pizza bianca, though. In Italy the line between pizza and focaccia is a bit blurred as every region has their own denominations. 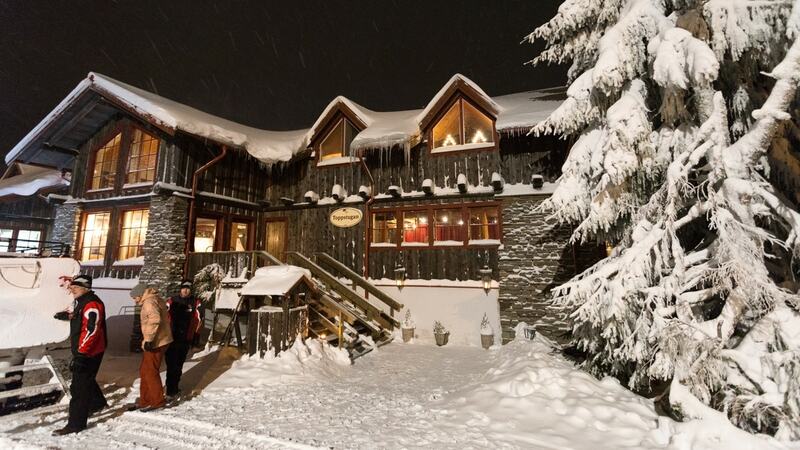 Where I grew up pizza bianca bought from the bakery would often be synonym to focaccia. Have your dough? Jump to leek and mascarpone topping. Measure the flour in a large bowl, and the salt in a small bowl and set aside. Dissolve the honey in the warm water and crush the fresh yeast in. Stir to dissolve, and pour yeast mixture into the flour. Start working the mixture with a spatula, and when the dough starts coming together add the salt and work it in. At this point I like to transfer my half-made dough onto a working surface to be able to properly work it with my hands. Now it’s all about kneading it nicely. At this opint yu can also add a little olive oil to make the dough softer, not more than 2 tbsp. Roll the dough into a ball, put it back in the bowl, cover it with cling film and let it rise for a couple of hours (or preferably overnight) in a warm place. After the dough has been rising and has doubled in size it is time to stretch it in an oven tray. First, pour some olive oil onto the oven tray and gently spread the oil all over the surface. Quantities depend on the size of the tray, you just want enough to be able to spread it evenly, but we’re not looking for a thick layer here. The pizza should not fry in that oil. Now take the dough ball out of the bowl and place it on the oven tray. Stretch it out pressing it to the oven tray. I generally just use my fingers here and try not to use a rolling pin. I have already admitted to using the rolling pin sometimes, but when I stretch it in the pan I generally just push and press. When the dough is nicely and evenly stretched out, pour some olive oil on it and again spread it with your hands all over the surface of the pizza. You can use a pastry brush, but I like to use my hands. If you don’t use soap but just hot water afterwards, the oil will also leave your hands super smooth and I never say no to this beauty treat. Just like before, you don’t want an oily pizza. Use just enough to cover the whole surface. 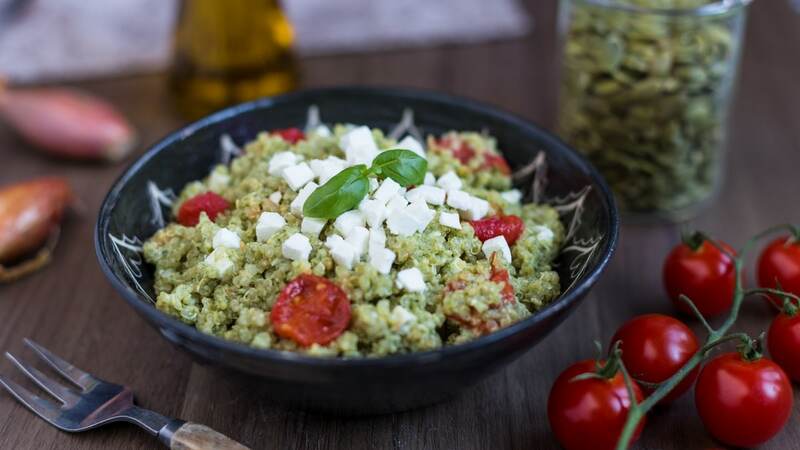 The oil will keep the dough from drying, plus it also works as a substitute for the tomato sauce that bizza bianca doesn’t feature. Cover the tray with more cling film and return it to a warm place. Let it rise again, another couple of hours (minimum 45 minutes, but the more the better). Sometimes I make this dough in the evening and let it rise overnight. Then in the morning I stretch it out in the pan and let it rise throughout the whole day only to finally bake it in the evening for dinner! A very long time! I have already written the directions for pizza dough on this blog and this recipe has the same proportions I have featured in other posts. The difference this time is in the fact that the dough rises also after being stretched out on the oven tray. In previous pizza recipes I was baking the pizza right after stretching/rolling it out. Cut the mozzarella in a small dice and keep it on a strainer so that any excess water will drain away. Clean the leek(s) by cutting off the root end as well as part of the dark green top leaves. Remove the two outermost layers if damaged. Cut the leek in half lengthways and rinse it under cold water to remove dirt. Pat the leeks dry and place them on a cutting board with the cut facing down. Slice and set aside. In the meantime, set a pan on medium heat and melt the butter. When the butter is ready, add the sliced leeks and sautée them always on medium heat. Add salt and white pepper and keep sautéeing them until soft. If they start to brown, reduce the heat. When the leeks are soft, set aside. When the dough is ready, preheat the oven to 250°C. It should have grown some more, make sure not to knock too much of that air out as you add the topping. Since mascarpone is not very easy to spread on such a soft surface (without knocking the air out, of course), I dropped dollops of mascarpone on the dough, here and there. Next, add the mozzarella. You want to have the cheese against the dough, so that it will melt away right over the pizza bread. Lastly, add the sautéed leeks. Optionally, you can grind some extra pepper over the whole pizza. Bake in the preheated oven at 250°C for about 12 minutes, until the mozzarella is all melted and the bottom feels crusty to the touch. Letting the dough rise in the pan will create this beautiful bubbly texture. 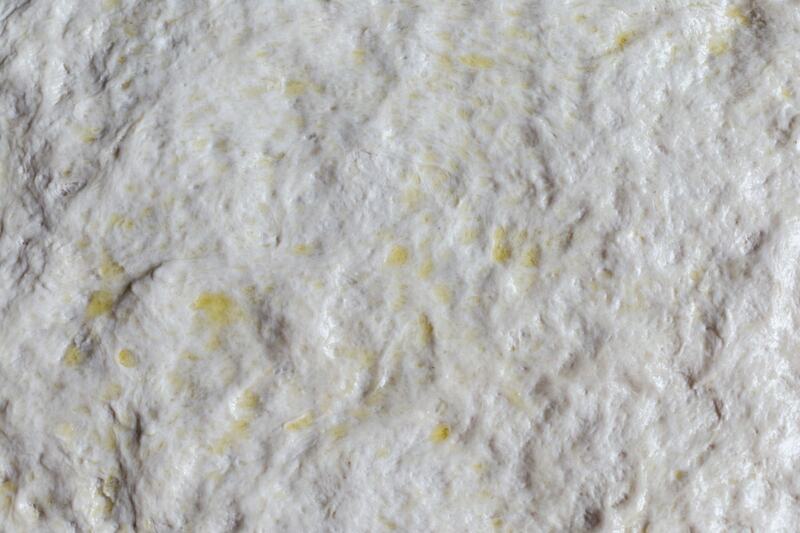 This focaccia is wonderfully soft, and the edges are nice and crispy thanks to the olive oil. While the mozzarella liquefies in the oven, the mascarpone dollops will remain compact. Chewing a bite with the warm mascarpone is the best part of eating this pizza! 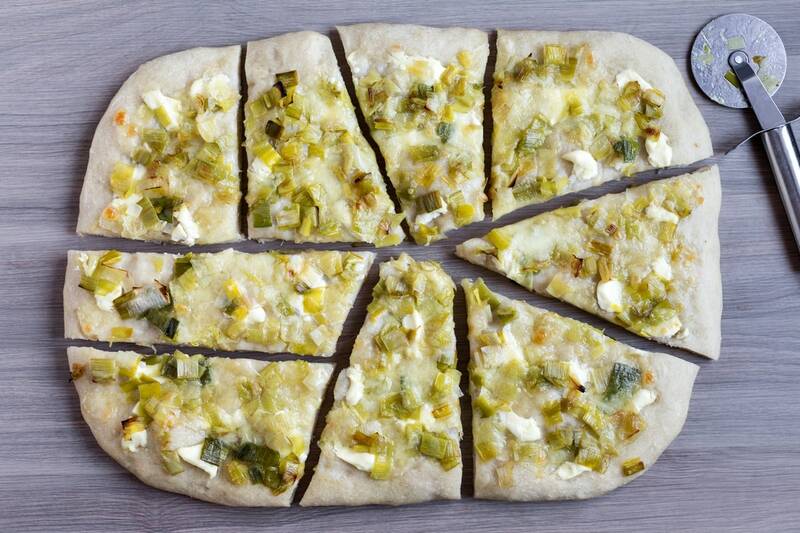 Are you ready to make leek mascarpone pizza your favourite? 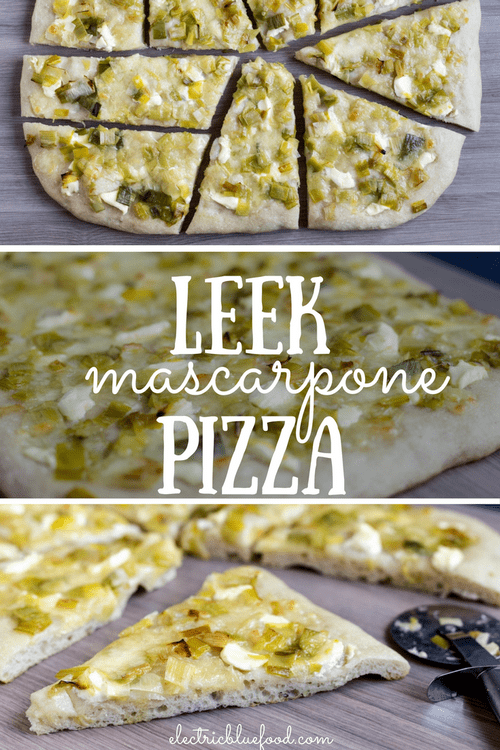 If you love leeks and mascarpone as much as I do, welcome this new addiction. 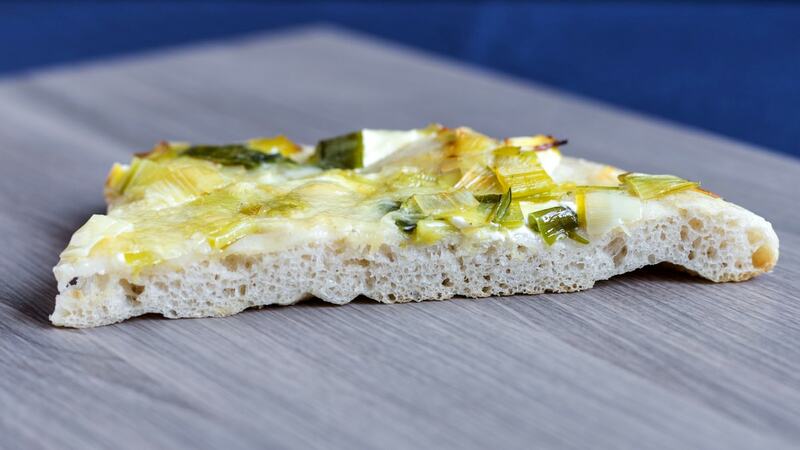 Because leek mascarpone pizza is so wonderful you will want to make it regularly for months. Just like I do.